Arriving soon in Wickford, new purpose-built clinic to open its doors to patients. One in six couples struggle with infertility but many miss out on the timely advice and treatment that can bring them closer to starting a family. 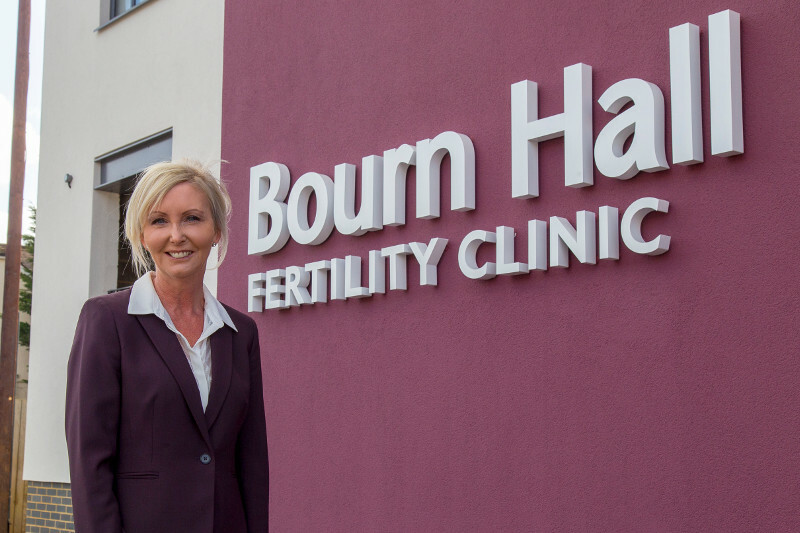 Bourn Hall has 40 years of expertise in making babies and has chosen Wickford to be the home of a new purpose-built fertility centre offering a fresh approach to fertility wellbeing and treatment. The new clinic is near the station and set to open in May. 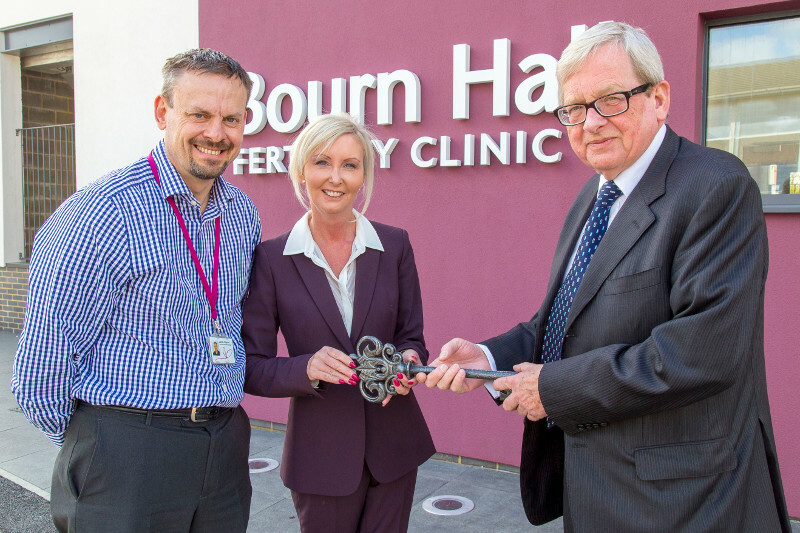 Sarah Pallett, Bourn Hall’s Business Development Director, was delighted to be handed the keys to the three-storey building by Paul Stacey, Managing Director of The Healthcare Property Company (HPC), an innovative developer of healthcare premises. Sarah comments that many can be helped with good advice from a specialist: “Our concern is that people often go into denial about their fertility problems and put off getting advice through embarrassment. The new clinic has been designed to feel more like a boutique spa than a clinical hospital environment to encourage people to seek treatment earlier when issues are easier to resolve. It will provide a full suite of fertility services, from initial fertility testing right through to IVF treatment (NHS or self-funded). Free IVF treatment is available for those who meet the criteria for donating or sharing eggs and sperm. A unique feature of the centre is a ‘fertility wellbeing hub’. Bourn Hall is increasingly aware that improving nutrition, fitness and reducing stress can help patients improve their fertility and cope with the emotional roller coaster of treatment. It has created a space for complementary therapists to practice. This is the first time that Bourn Hall Clinic has commissioned a new-build and the design is inspired by nearly 40 years of experience in delivering high quality fertility care. Designed by brp architects, the project was managed by The Healthcare Property Company (HPC), an experienced developer of healthcare premises based in Maldon, with building work undertaken by Southend-on-Sea construction company AW Hardy. The new purpose-built clinic at Wickford will have the capacity for 1,000 IVF cycles a year. It is built to the highest environmental specifications, incorporating the latest building technologies to reduce noise and vibrations from traffic to create a calm interior. 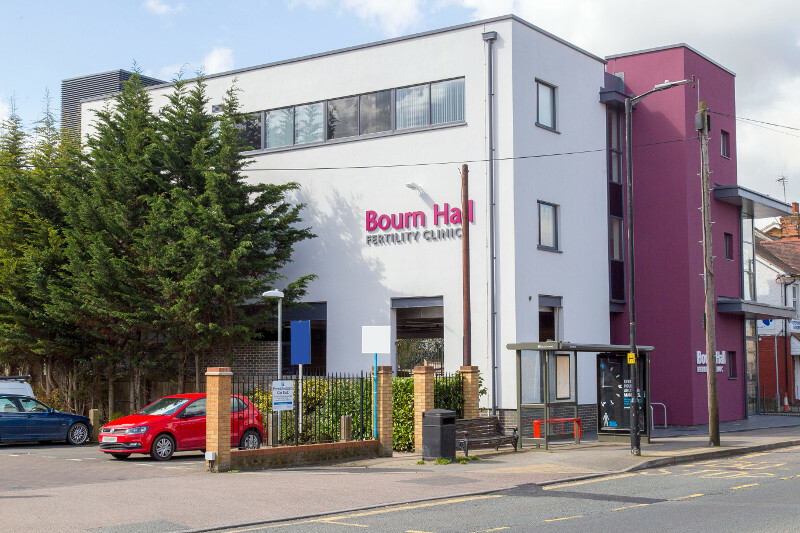 Bourn Hall was the world’s first IVF clinic and Wickford will provide a complete IVF service under one roof including egg collection and embryo transfer. The clinic has been designed to provide a reassuring environment with easy transport links and free onsite parking. This will enable patients to attend appointments and return home without struggling through London public transport or traffic. Sarah comments that Wickford is an ideal place to offer the full range of fertility services, as it is easily accessible to people from South Hertfordshire and North London as well as Essex. She says: “We will offer flexible early morning, evening and weekend appointments to help patients fit treatment around work and other commitments. There will be an opportunity for health professionals to have a tour of the building and meet staff on the evening of 17th May – for more details click here.